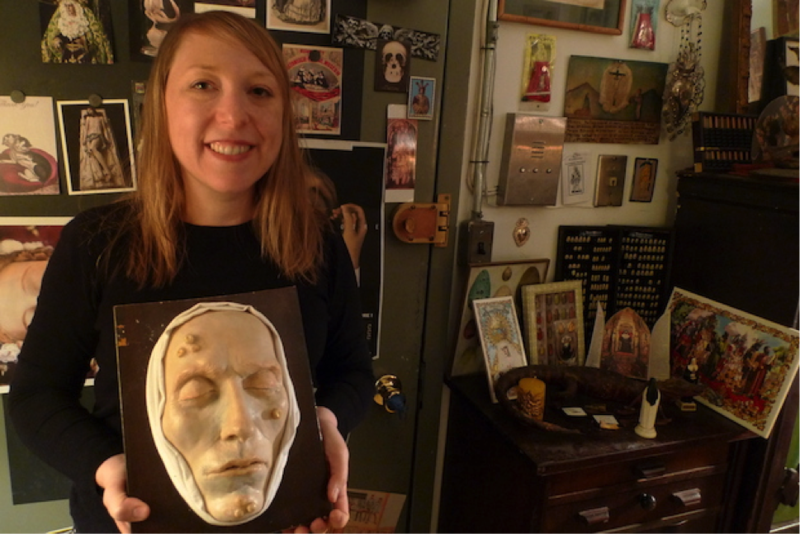 The Morbid Anatomy Museum (Morbid Anatomy) is committed to, “exploring the intersections of death, beauty, and that which falls between the cracks.” The museum’s quirky mission statement is as unique as its path to existence. “I never intended to start a museum,” founder Joanna Ebenstein frankly admits, “that was never my goal”. But what started as a blog based art project centered on the exquisitely macabre grew first into a library, and then a book, and finally into a 4200 square foot Brooklyn museum. Ebenstein’s exhibition catalogues boast oddities ranging from a “mummified seven-legged, two bodied piglet” to a “pre-1800 wax memento mori figurine depicting a decaying corpse crawling with vermin.” While Ebenstein notes that these artifacts are “definitely niche,” they have nonetheless found an extensive and engaged audience. Enthusiastic visitors have spurred the founder to offer frequent classes on subjects such as Victorian hair art, taxidermy, and the drawing of human anatomy. Morbid Anatomy has even hosted trips around the world, the most popular being an excursion to Mexico to witness The Day of the Dead.